Most of my weekends will include me baking an yeasted bread. Weekends are meant to be relaxing and baking such breads are so therapeutic and unwinding for me from all those hectic weekdays. I keep the quick breads for the weekdays in case I get the baking bug. Anyways one such weekend found me baking this utterly beautiful and delicious Swiss white bread. Zopf translates to braid and this is exactly what this bread is all about. White flour, butter, eggs and yeast constitute the bread - There is nothing about this which you cannot like and this recipe which I noted from 'God knows where' has been my friend for last 2 years. It comes out perfect every time I make and tastes like your local professional baker's bread. For me nothing beats out the feeling of having some beautiful breakfast - Some fruits, fresh beautiful looking breads and some tea is my kind of royal breakfast.Any bread goes - be it wheat, rye or sourdough. I resort to whole grains most of the time, but on rare cases I don't mind homemade white breads too. Last weekend was one such Bed and Breakfast for us :) Refreshing and enticing. Few months back when I treated a friend to this bread, she loved it and also asked me how I make the braid. I explained but she wanted me to do it my style - through the blog with step by step pictures. Every time, I am informed how useful someone finds my blog, it gives me unprecedented joy. This post is for you Aaliyah. 2. 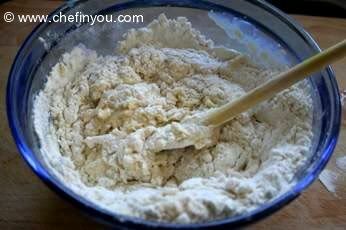 In a large bowl, mix together the flour and salt. 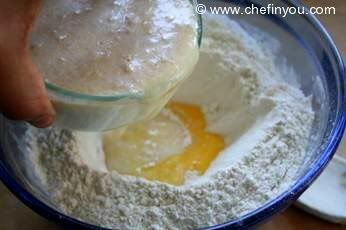 Make a well and add the egg and the yeast mixture. 8. Grease a baking sheet. 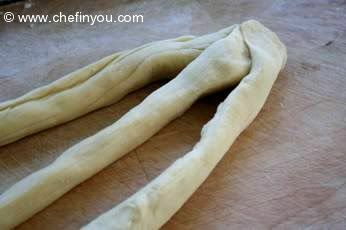 Punch the dough and divide into 3 equal pieces. Roll each into a long thin rope. 9. Bring one of the ends together. 10. Start braiding by bringing right end across the center rope. Now the right rope comes to the center and the center ones goes to the right hand side. 11. Now bring the left most rope on top of the center one. 14. Tuck the ends beneath the braid. 15. 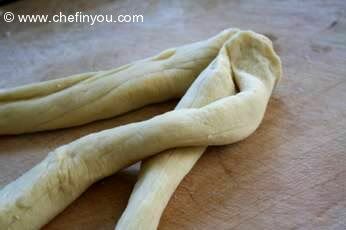 I had some more dough left over and I thought I will make them into small knots. 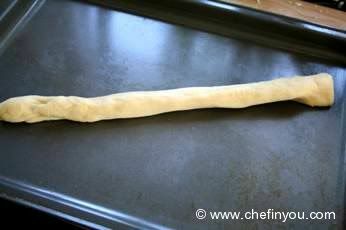 I rolled the dough into a long rope. 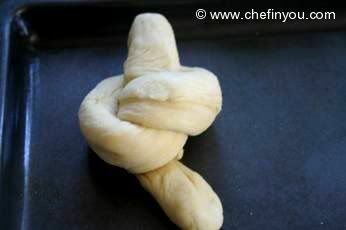 18. and pull it from the other side to form a knot. Preheat Oven 375F. 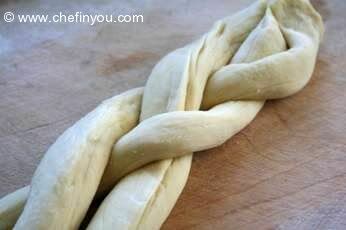 Now brush the braid and the knots with egg yolk and bake them for 30-45min or until golden. Let them cool and slice them. This recipe is perfect! The texture is just right and I made some delicious sandwiches. I can't believe how simple it is. Great, easy recipe. Do you need 2 eggs for this? 1 for the dough and one to brush on before baking? I love this recipe. I have been using it for years and still refrence this same page. Amazing every time. A few weeks ago I had a lesson in making this Swiss bread. I used your recipe today to attempt my own! It is on its final rise and about to put it in the oven!! I followed your recipes and it was success at first try . Gave me confidence to do it a second time and after that I fell in love with yeast baking. Thank you! 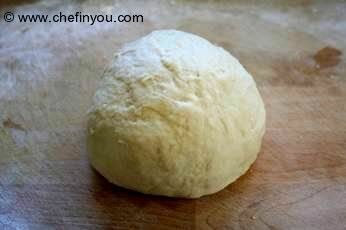 I make a very similar dough, but I dont use egg. I feel the bread stayes fresher longer without. If anyone does find a need to store bread, I recommend freezing it. You minimize staleness that way. 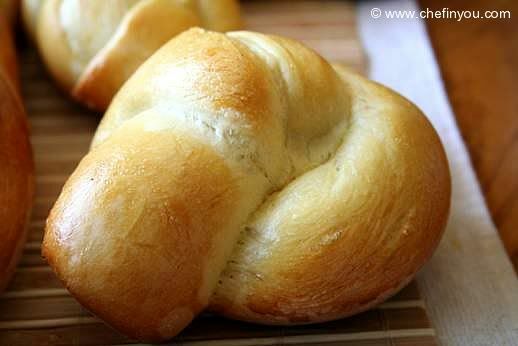 I am excited to make this bread aND the know rolls. Thanks for sharing! Thankyou so much for posting this recipe. I made zopf for the first time this morning and am so pleased with the result. It was a good size for my small family. Previously my Swiss relatives were only able to give me recipes that required fresh yeast. I live in an area in Australia where it is hard to get fresh yeast so had never made it before. I also can't read German so it was good to have an English recipe. In Australia to get zopf you have to travel to a specialist deli or Swiss baker, there are not many of them and it is expensive. I plan to surprise my Swiss father by making it for him this weekend. I also hope to use the recipe to make cute animal novelty breads for Easter. Sorry I can't seem to load a photo. Oh hello' This recipe is amazing. I ate before in Switzerland actually but, after making this, I couldn't be more happier. It's almost same. I also shared on my blog with my own photos and linked your web site. Thanks a lot for sharing this amazing recipe. Have a nice day. I love this recipe. It's a crowd pleaser. I let it knead with the dough hook in my kitchenmaid for around 10 minutes. Is this like challah bread? Hi, I used your recipe to make Zopf for National Swiss Day. 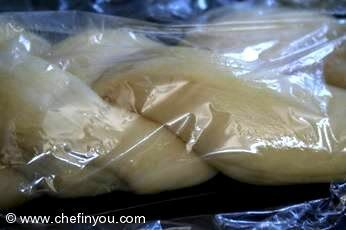 I use fresh yeast is I proved the yeast in 50 to 60 mls of warm water first, otherwise I followed your recipe. I made the dough one day and put it in the fridge overnight and made the bread the next morning. Just took it out of the oven and it looks and smells wonderful. I look forward to eating. My Great Great Grandparents came over from Switzerland and my Great Great Grandma Ammann made this recipe and started calling Christmas Bread because our family has had it at Christmas time. My great grandma made it and now my grandma makes it but modifies it in a bread machine, but my great grandma made it the long way, and we use sugar instead of honey, but we had no idea it's real name was Zopf. For the people who struggle with crumbliness, which I also had (I normally use my own zopf recipe, but tried this one for a change), try 2 dL milk and 1 dL water and no egg. I learned that from a Swiss friend. 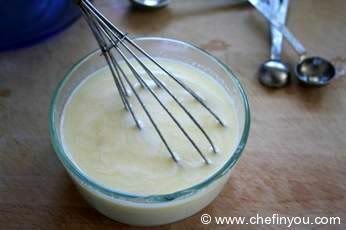 I also normally use 1 tsp sugar in stead of honey but that might not make a difference to texture. And 2 tsp salt. For the rest exactly the same amounts and methods! The egg yolk brush works brilliant. I always used a whole egg. What kind of milk did you use? Whole? 2%? Or did it not matter? We tried this recipe today and while the taste seemed right the texture was more biscuit like. Any ideas on why? Thanks for any help! Hiya I used to buy bread at a swiss bakery in Melbourne. The crust was crunchy and rich in flavour, however, my most vivid memory was the inside was deliciously moist and tasted similar to a ciabata. Every bread I try to make comes out dry inside. How can I make the baked bread crunchy outside and moist inside? Dear AK. 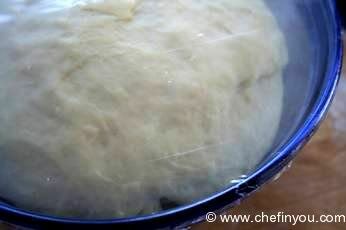 To avoid an egg wash, bursh the dough with mild after braiding the bread and it is rising. Brush again with butter before and after baking. I've made this bread twice now, and have to hide it from my family so I can eat it! I am an extremely unexperienced teenage cook, and even this was simple enough for me not to screw up (unlike previous bread attempts) Thanks for making me look like a culinary genius! I was so excited to find this recipe, my sister-in-law makes a bread just like this every year and I don't think she has it written anywhere. She offered to show me how to make it someday but now I don't have to! The pictures are super helpful! I made this last year and I'm making it again today for Thanksgiving. Thank you for this post, it's our fav bread!! Milk, egg, honey and butter are all not vegan :roll: PS Bacon is life. Thank u sir or maam! You can make what my maternal grandmother made in addition to her loaves of this lovely bread, 'taube' which means 'little dove' in German. She was from Berne Canton of Switzerland. 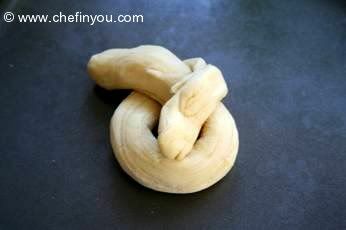 Twist some of the dough similar to a pretzel, pull out a bit of one area of it to create a little head and pull a bit more for a beak and use two raisins for eyes and let it rise.......... It is lovely way to delight a child. 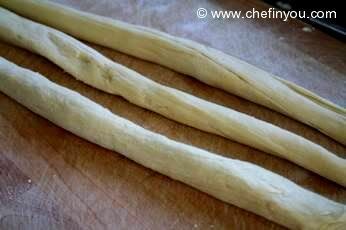 It is close to Christmas and I follwed your recipe last year to make Greti Bentzs. If your parents are Swiss you may know what they are, bread men. They are very cute and the bread is delicious. I have pics if you would like. They make perfect gifts for get togethers. We usually give on St Nicholas Day (12/6) but in the US it is great for Christmas. Oh pleaseeeeeeeeeee! I def. need the pics. If possible do add them in the "I Made This" section so that all of us can look at them and drool :) Thank you so much for the feedback. I am making bread tonight to serve at a dinner part tomorrow night. Any suggestions for how to store it until then. Also if the crust is a bit hard, does it really work to throw it in the oven for a bit to soften it? When I was a child my dear grandmother, maternal, who was from Switzerland, regularly made this at Christmas including the little doves for children. They had raisins for eyes. I look at this bread and it all comes back to me so clearly. I have shared it with my sister too.......I miss my dear grandmother and each Christmas we talk about her bread. BTW she used a wood stove to bake it and to this day I am in awe how she managed to keep the heat at correct amount. Her bread was stellar. You should be excited! it's delicious!!! The only thing I can't seem to understand is when you say combine all wet ingredients excepting the egg. Does this mean yeast as well? I love making this bread. 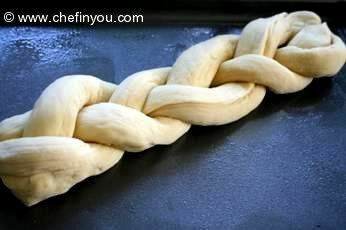 As for the braid...When living in Switzerland I learned a much easier way to braid this bread with only 2 rols of dough. this technique is best explained by the website http://www.about.ch/culture/food/zopf.html It also has another variation of the recipe but I dont think it is as good as this one... not as sweet. Forgot my last tip. While in my house the bread tends to last only minutes, If you would like it to last a few days without going stale, use whole milk and real butter. 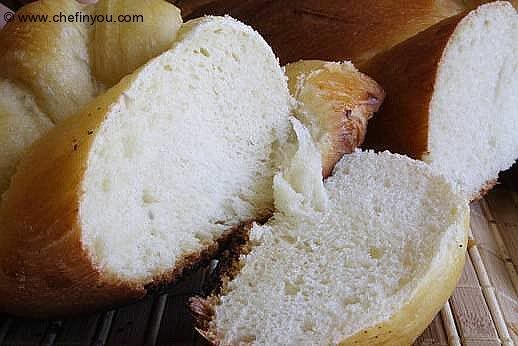 It's higher in fat but it keeps several days longer, and if you are like me, then this bread is a once a month treat so it's okay to indulge sometimes :) happy baking! Thank you for this recipe. I am trying it now. My family has a similar recipe for Swiss bread and I misplaced it. I googled "Swiss bread" and your great page came up. 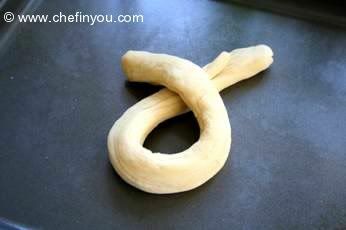 Just a variation though, our recipe has you divide the dough into 6 ropes and make two braids. 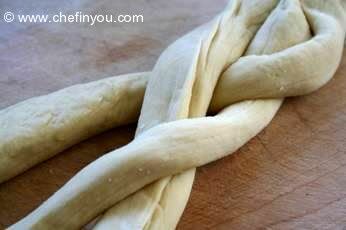 You then lay the two braids on top of each other when baking. 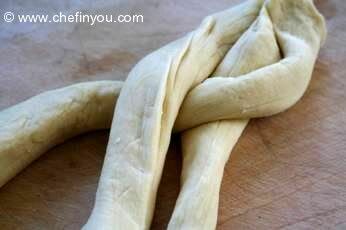 This makes the bread very easy to just pull apart when serving. Hello there What a beautiful website you have. Thanks for posting in such detail. I just made this bread (to a different recipe from a book I have) and I found your website when I googled for the bread because I wanted to see how others had made it as I was short of one ingredient. It turned out lovely. :) I'll definitely make this bread again. I made it with a mix of Milk and Yoghurt - very moist and soft result. I'd bookmarked this a while back, and well, I forgot about it. What a pleasant surprise to revisit-I'm starting it right now-I'll let you know how it comes out! Thanks for the braiding directions! I have a recipe very similar from my mom who is Swiss. This is traditional "Sunday" bread, but she just makes it for Easter. I decided to try my hand at it, but have never seen her braid it! Here's her recipe: 500 grams all purpose flour 1 package dry yeast 50 grams butter (1/2 stick) 1 egg 1 dash salt 1 grated lemon rind 1/4 liter milk (just a hair over 1 cup) All ingredients have to be room temperature. Sift flour & yeast together into cuisinart (I did it in Kitchenaid...we'll see how it turns out! ), cut butter into small pieces on top of flour, add next 4 ingredients, turn machine on to mix everything well, then add lukewarm milk slowly. Mix for 3 min. 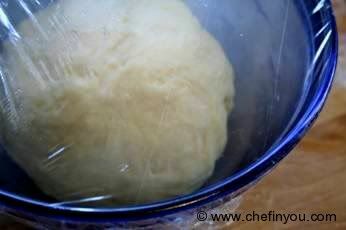 If dough is soft or sticks to bowl, add 1-2 tbsp flour & mix again. 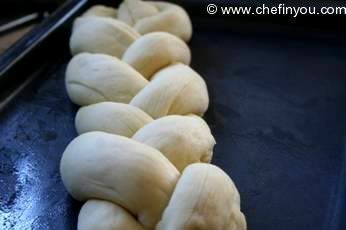 Let rise in warm place till doubled (about 45 min) Braid. Put on greased cookie sheet, brush with egg yolk. Bake in center of oven for 30 min. at 400 degrees. Enjoy! Ma ma mia! What a good looking bread! I have bookmarked this recipe. It looks gorgeous, like those center-piece bread baskets in 5 star buffets. Thanks for sharing the recipe in detail. What beautiful braiding! 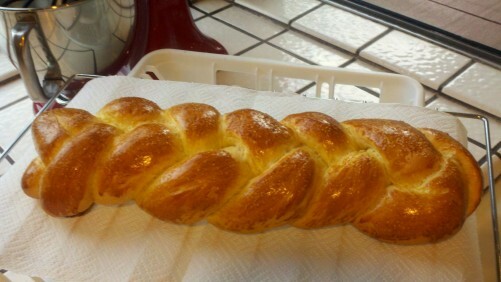 We make something similar called challah (my sister in law showed me how to make it). Such a gorgeous looking bread. It always help when there is picture to show the steps in making it too. 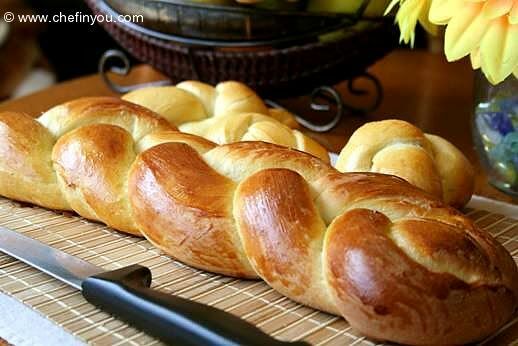 Your braided bread look perfect. Beautiful bread! Look at that soft, white crumb. I can't wait to try this. Just posted the delicous bread in my place. Thankyou for the recipe. Lovely Zopf! Thank you so much for sending it to YeastSpotting. Made this bread yesterday. I just added 200 gm raisins to the dough. Will post in my place on friday. It came out really so good. 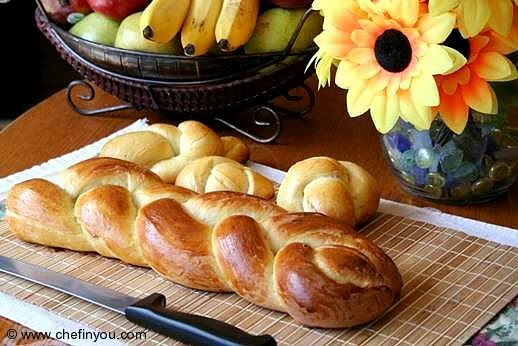 Perfect color of the bread..Look wonderful that beautiful brown color..perfect texture too..
Lovely looking braided bread. Great pictorial as usual. Have a great sunday DK.. Perfect Bread. Can't find words to describe the bread. Your still life shots are gorgeous. wow, that one is perfect; perfect color and clear instructions! Can I say Lovely..or maybe Too good...or else Wonderful? ?Nah,anything I say would sound like a cliche for this masterpiece creation.I am amazed seeing the last picture,of sliced bread.It looks straight out of a bakery.God knows when I'll be able to bake something like that:). One more thing-can we substitute white flour for bread flour? Thats so generous of you Divs! Thanks a bunch - I am honored. 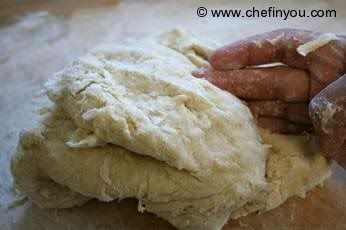 Bread flour is a high-protein flour which is so suited for such yeasted breads giving it a good rise. You can of course substitute it with All purpose flour, but I have to tell you frankly that the result would be good but little less remarkable. Usually for an ideal substitute you can add like a tsp of wheat gluten to all purpose flour - But I am not sure you will get wheat gluten in India. So you can of course make do with all -purpose flour, it will still come out decently.